Château Figeac is in the northwest of the Saint-Émilion appellation, neighboring Château Cheval Blanc. With 40 hectares of vineyards, it is the largest estate in Saint-Émilion. Its grand vin release price for the 2010 vintage was Euro 168 ex-negociant. I recently had the pleasure to spend a few hours at Château Figeac and tour the estate. Because of its fine gravel based soil (which is uncommon in the Right Bank), Merlot accounts only for 30 % of the plantings (which is very low by Saint Emilion standards). The Château Figeac grand vin is dominated (70%) by Cabernet Sauvignon and Cabernet Franc in equal parts. Château Figeac is known as the most Médoc of the Ste Emilion chateaux. Château Figeac is an old estate. It takes its name from a Roman called Figeacus who built a villa here. Today, one can still see a water-supply system dating from the Gallo-Roman period, foundations of buildings from the Middle Ages and defensive walls along with the remains of a Renaissance chateau incorporated into its structure. For the past 60 years, Chateau Figeac was been associated with Thierry Manoncourt, who took over the management of the property in 1946, and his wife Marie-France; Thierry Manacourt passed away in 2010. It was under his leadership that Chateau Figeac rose to the front ranks of Saint-Émilion estates. His son-in-law Comte Eric d'Aramon took over the daily running of the estate in 1988. In 1992, Thierry Manacourt divided the business between his 4 daughters, bestowing the larger share on his eldest daughter, Laure. Chateau Figeac tends to harvest early with a view of retaining freshness. After Haut Brion and Latour, Chateau Figeac was the third estate in Bordeaux to introduce stainless steel tanks; there are now 20 temperature controlled vats, 10 in oak and 10 stainless steel. Since the mid 1970s, Figeac has been aged in 100% new oak. Even Petrus has not used 100% new oak since 1990. The time spent in new oak varies according to the vintage character. The 1997 vintage was aged 12 months, while the 2009 vintage saw new oak for 18 months. The family also owns two other wineries: the nearby Château La Fleur-Pourret (4,5 hectares, Chateau La Fleur Pourret was part of Chateau Figeac many years ago, also bought in 2002), and Château de Millery (just over 1 hectare), in the southern sector of St.-Emilion known as St.-Christophe des Bardes. As part of this effort, in March 2013, Michel Rolland signed a consulting contract with Figeac, with the aim of bringing it up to Premier Grand Cru Classé A. If you want to eat in Washington DC as close as possible to as you would in a restaurant in the countryside in France, you have to go to Bistro Lepic in Georgetown. Not at all fancy food, but good, basic French cuisine. The restaurant is on the ground floor and on the first floor you find a nice lounge area with a bar. Currently, on Monday and Wednesday, Jazz groups are performing in the lounge and on Tuesday, between 6 and 8 am, you have a little wine tasting. This time, the wine tasting was a very special one, because the guest was Thomas Schlumberger from Domaines Schlumberger in Alsace. He presented 4 wines. Domaines Schlumberger is located in Alsace. A family vineyard established in 1810, there are currently two generations working the property side by side: Alain Beydon-Schlumberger (6th generation) and Severine and Thomas Schlumberger (7th generation). The vineyard is unique in Alsace in that 70 of the 140 hectares are classified as Grand Crus. The vineyards provide the Schlumberger family with 100% of their fruit - they do not buy any fruit or unfinished wines from other growers. Because of the steep hillsides (some with slopes of 50 degrees), animals are used to work the land rather than agricultural machinery. “We farm sustainably. We signed the Tyflo Charter in 2003. 30 hectares are in biodynamic farming. From generation to generation, the respect of nature and environment has always been an essential element of the way of life and philosophy of the family Schlumberger” said Thomas. “We have 120 old oak casks. They are equipped with thermoregulation systems and are the best combination between tradition and innovation. We also have 80 stainless steel vats” said Thomas. Les Princes Abbés: The classic range is called "Les Princes Abbes" in homage to the Princes Abbots who have maintained and made their vineyard of Guebwiller thrive for 1,000 years. Les Grands Crus: The jewels of the Domaines Schlumberger; the Grands Crus offer 3 varieties: Riesling, Pinot Gris, Gewurztraminer. The grand cru classification was done in 1983 by the “Institut National des Appellations d’Origine” (INAO). Initially, only 25 Grands Crus existed, including the 4 of Guebwiller; 25 other Grands Crus were classified in 1992. 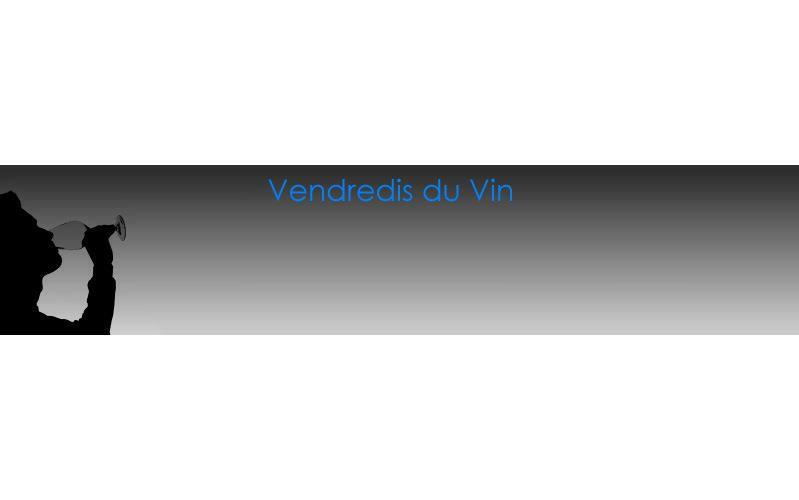 Les Cuvées de Collection: Coming from Late Harvest or from Selection de Grains Nobles (noble roots), these wines are only produced in exceptional years. The Schlumberg family comes from Germany. Claus Schlumberger was the first to settle in Guebwiller in the XVI century during the period of the monks “The Princes Abbés”. Under Ernst Schlumberger (1885-1954), the phyloxera destroyed the whole vineyard. He replanted it and then enlarged the vineyard from 40 hectares to 110 hectares. Lemon yellow in the glass, light green reflections, floral and fruity notes on the nose, fresh structure, citrus fruits, lime, sweet almond on the palate, good finish. Yellow with green reflections in the glass, earthy notes with a hint of fruitiness on the nose, medium intensity on the palate with notes of candied fruits, quince, a hint of bitterness on the finish with a nice length. Light yellow with straw reflections in the glass, earthy scents and a hint of fruitiness on the nose, good structure, flavors of quince, white flesh fruit and a hint of lemon on the palate, good acidity. Lemon yellow in the glass with green reflections, attack of citrus fruits, candied lemon on the nose, coupled with floral hints, on the palate, aromas of lemon peel, spicy ginger, long finish. Blue crabs (see below) are iconic in Maryland. 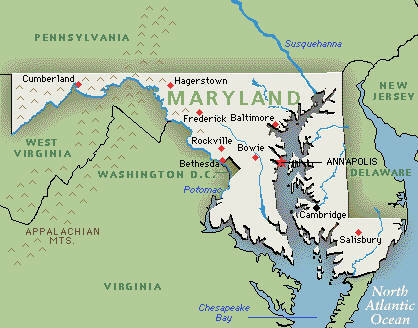 Few food and wine aficiniados, however, would point to premium wines, when talking about Maryland; instead, Maryland has the reputation of being a mediocre wine producer. But Maryland winemakers are very successfully changing that. Increasingly, winemakers in Maryland are moving away from fruit wines and non-European grape varieties that have long plagued the East Coast to produce wines that can compete with the best wines in the world. As Drew Baker of the brand-new Old Westminster Winery explained to Frank Morgan, a popular wine blogger, “Maryland has great potential and I believe that the quality bar is rising quickly. Soon, poorly made wines will be the exception in an otherwise great region.” Old Westminster Winery, led by the three siblings Drew, Lisa, and Ashli, who manage the vineyard, winemaking, and marketing, respectively, has not yet released any wine, but is already generating a buzz. Other promising newcomers include Black Ankle, Slack, Sugar Loaf Mountain and Port of Leonardtown. Add to that the Maryland classics Boordy, Basignani and Elk Run, which are in the process of changing gears. Vendredi du Vin #55 : "Le vin contre-pied"
To put this into perspective, the USA has become the 4th largest wine producing country in the world, after France, Italy, and Spain (and the largest wine consuming country in the world). Wine is now produced in all 50 States, with California, Washington State and Oregon leading the way. However, some states outside the Northwest do not grow vitis vinifera grapes such as Cabernet Sauvignon and Chardonnay easily, and some wineries in the smaller wine-producing states buy juice or grapes from other states. For reviews of wines from all 50 states go here for an excellent Time Magazine article. Maryland’s modern wine history dates to the 1970s, but grapes have been planted in the area since the 17th century. Most of Maryland’s 60 plus wineries are in the Piedmont Plateau in central Maryland, but grapes also thrive in the Eastern Shore, Southern Plain, and Western Mountains: (1) A majority of the state’ vineyards are planted in Piedmont Plateau in central Maryland. (2) The Chesapeake Bay has always been among my favorite regions, but the Eastern Shore is also a fantastic growing region. The soil is sandy and well-drained, and the climate is moderated/protected by the water, perfect for warm days and cool nights. (3) In the Southern Plain in southern Maryland it can get rather hot. And stay hot during the night. Barbera, Sangiovese, and Chardonnay dominate. (4) Western Maryland is mountainous, and while there are only two wineries, there is a number of vineyards. Last year in May, wine guru and Maryland resident Robert J. Parker tweeted: “Maryland’s greatest culinary delicacy – blue channel soft-shelled crabs are starting to arrive … lightly floured and sautéed in butter.” Maryland – with the large Chesapeake Bay – is indeed blessed with Blue Crabs which came in different forms, when you eat them at a Crab Shack. Unfortunately, Maryland’s delicious seafood was on the backburner during the conference. The blue crab is a crustacean found in the waters of the western Atlantic Ocean, the Pacific Coast of Central America and the Gulf of Mexico. Chesapeake Bay Blue Crabs undergo a seasonal migration; after mating, the female crab travels to the southern portion of the Chesapeake, fertilizing her eggs with sperm stored up from the last mating months or almost a year later. In November or December, the female crab releases her eggs. The crabs hatch in a larval form and float in the mouth of the bay for four to five weeks, then the juvenile crabs make their way back up into the bay. Blue crabs are most often eaten in the hard shell. Steaming them in large pots with water, vinegar and seasoning is the norm on the East coast. You need the whole experience: the smell of steamed crabs in the air, a pile of large steamed blue crabs covered with Old Bay Seasoning, ready to be cracked with wooden mallets, accompanied by corn on the cob, plus a roll of paper towels and a metal bucket for tossing the empty shells. The Chesapeake Bay is famous for its soft-shell blue crabs. As crabs grow larger, their shells cannot expand, so they molt the exteriors and have a soft covering for a matter of days when they are vulnerable and considered usable. Crabs caught just after molting are prepared as soft shell crabs: first cutting out the gills, face, and guts; the crab is then battered in flour, egg, and seasoning, then fried in oil until crispy. The entire crab is consumed, legs and all. Crab cakes is another delicacy. Crab Cakes are basically Hamburgers made out of crab meat. We ate it recently as a starter with tomatoes and avocado on the side. Usually I start my crab dinner with a Maryland Crab Soup. This is a kind of an Italian Minestrone with crab meat. We began our tour by visiting Sugarloaf Mountain Vineyards. Sugarloaf Mountain Vineyard is only a 45 minute drive from Washington, DC. The 92-acre farm abuts the scenic Sugarloaf Mountain conservation and recreation area. The winery is easily identifiable by its signature red barn, silo and windmill, built in the early 1900s. Purchased by Dan and Polly O'Donoghue in 1962, the farm has been a working farm and family retreat ever since. Today, it is owned and operated by their four children – the McGarry, McKenna and two O’Donoghue families. The transformation from a traditional farm to a vineyard broke ground in 2002. A wine making team was formed, and soon vines were planted and being nurtured. By 2005, the winery was complete and Sugar Loaf Mountain was making its first vintage. In 2011, Benoit Pineau took over the wine-making responsibilities. He hails from France and has been educated in oenology and viticulture in Bordeaux and Toulouse. As of January, 2013 Manolo Gomez has become the official winemaker, with Benoit Pineau the consultant winemaker. Sugar Loaf Mountain Vineyard specializes in Bordeaux style wines. They grow Cabernet Sauvignon, Cabernet Franc, Merlot, Malbec and Petit Verdot; and three white varieties: Chardonnay, Pinot Grigio and Viognier. 100% Pinot Grigio which was aged for 6 months in stainless steel. Alcohol 13.0%. This wine is a blend of 73% Cabernet Sauvignon, 10% Cabernet Franc, 10% Petit Verdot, and 7% Merlot which was aged 5 months in 20% new French oak. Alcohol 12.5%. This wine is a blend of 51% Cabernet Franc, 22% Petit Verdot, 16% Merlot, and 11% Cabernet Sauvignon which was aged 24 months in 25% new French oak. Alcohol 14.5%. The second stop was Black Ankle Vineyards. We were visiting Black Ankle Vineyards to both taste wine and to eat lunch catered by the Woodberry Kitchen of Baltimore, a restaurant devoted to eating and drinking local. I will prepare a separate posting about the lunch. Owners Sarah O’Herron and Ed Boyce (both former management consultants) planted their first vines in 2003 after a lengthy search looking for farms with the worst soil. They succeeded, buying a 142-acre farm on Black Ankle Road in the rolling hills of Carroll County near Mt. Airy. Black Ankle sets the new standard for what is going on in Maryland wine. Black Ankle has won numerous awards for their wines, including recent Maryland Governor’s Cup Awards. Ed and Sarah explained that the meager 1 1/2 feet of soil is 60 percent rock with a solid layer of rock below. Although this soil environment would be a nightmare for a farmer planting traditional agricultural crops, it proved perfect for their vision of a world-class vineyard growing vinifera grapes. Currently, Black Ankle has 42 producing acres. Since Ed and Sarah purchased the property, they have made and applied compost in place of chemical fertilizers and they have never used herbicides of any kind. “Although we are not yet able to farm 100% organically, we are optimistic that with more research and ingenuity we will get there before too long,” say Ed and Sarah. “We have also made the decision to farm with the principles of Biodynamics. Black Ankle’s barrel room holds 300 French oak barrels. It is constructed with hay-bale walls coated with a plaster made from the farm’s earth and wood harvested from their acreage. The business has been a bit of a juggling act for Ed and Sarah, who have kept their house in Silver Spring and, except at harvest time, alternate days at Black Ankle with working from home. They have five children, one in college and four at home. This wine is a blend of Albarino, Viognier, Chardonnay, Gruner Veltliner, and Muscat. This wine is a blend of 47% Cabernet Sauvignon, 21% Cabernet Franc, 21% Merlot, 8% Malbec, and 3% Petit Verdot which was aged for 18 months in French oak barrels. Alcohol 13.6%. This wine is 100% Syrah which was aged for 18 months in 65% new French oak. Alcohol 14.6%. The tour concluded with a visit and tasting at Boordy Vineyards, which is the oldest commercial winery in Maryland. Boordy was founded in 1945 by Philip and Jocelyn Wagner. The Wagner’s enthusiasm for experimentation and the winery’s rapid growth eventually lead to a partnership with the Deford family who purchased Boordy in 1980. The Defords moved the winery to its present day location at their Long Green Valley farm, just north of Baltimore. The farm has since been placed in permanent preservation with the Maryland Environmental Trust, demonstrating owner Rob’s commitment to agriculture. The winery is currently housed in the ground-floor level of a 19th century barn. Next to the barn a new similarly sized building is going up. The new building will become the home of the winery. As it is purpose-built, future wines will see more gravity and less pumps along with being raised with more accurate temperature control. The original barn will become a barrel cellar. Boordy produces three tiers of wines: Just for Fun, Icons of Maryland and the Landmark series. The Landmark series is the very best of each vintage year; the Icons of Maryland are designed with food in mind; and the Just for Fun series offers sweet, party wines. We only tasted Landmark wines. These wines are produced from 100% Maryland fruit of which 95% is estate fruit. The Landmark Project was begun in 2006. It follows the guidance of viticulturist Lucie Morton which initiated a complete replanting of the vineyards. The vineyards were replanted with closer spacing, 1 meter by 8 feet, averaging 1500 vines per acre for all 45 acres. This wine was aged for 18 months in French oak. This wine is a blend of 69% Merlot, 19% Syrah, 6% Cabernet Sauvignon, and 6% Petit Verdot which were fermented separately. It was aged for 24 months in French oak. Ernst Loosen was in town (Washington DC) and I had a chance to meet him and taste his wines several times. A highlight was a tête-à-tête dinner at the trendy Indian fusion restaurant Rasika, where Ernst also poured his hugely popular Dr. L Riesling. Ernst Loosen is a charismatic figure and has done loads for promoting German Riesling around the world. This is the first posting in a series of 3 postings: (1) Ernst Loosen and Dr. L. Riesling - His Hugely Popular Entry-level Wine Sold Throughout the World, (2) Riesling, Pinot Noir and Indian Cuisine: A tête-à-tête Dinner with Winemaker Ernst Loosen, Weingut Dr. Loosen, at Rasika in Washington DC and (3)Riesling from Germany and Pinot Noir from Oregon: A Winemaker Dinner with Ernst Loosen, Weingut Dr. Loosen and J.Christopher Wines, at Black Salt in Washington DC. This posting is being published as part of the Weinrallye, a monthly blog event in Germany. Participating wine bloggers - mainly in Germany - are all releasing postings today under the heading "Not More Than 5 Euros”. Weinrallye is the brainchild of Thomas Lippert, a winemaker and wine blogger based in Heidelberg, Germany. 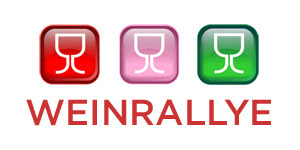 This month's wine rally is organized by Nico Medenbach, who runs the wine blog “Drunkenmonday”. Dr. L is Ernst Loosen’s entry level wine, hugely popular all over the world, but virtually unknown in Germany. The lowest price according to wine searcher is $8.89, which equals about Euro 6.60 at the current exchange rate, i.e. a bit more expensive than the Euro 5.00 criterion. Ernst Loosen is a winemaker based in Germany, who now makes 4 different wines in Germany and the USA: First, Mosel Valley Rieslings, mostly fruity-sweet that made him so famous in the world; second, Pinot Noirs and other wines from the Pfalz, all dry, where he owns Weingut J.L. Wolf; third, the J. Christopher Wines, a collaboration of Ernst Loosen and Jay Somers, mainly Pinot Noir, from Oregon and fourth, the Eroica wines, a collaboration between Dr. Loosen and Chateau Ste. Michelle, the giant wine producer, in Washington State. At the dinner at Rasika, we tasted and focused on Rieslings from the Mosel Valley and Pinot Noirs from Oregon. The wines of Weingut Dr. Loosen are known all around the world as prime examples of Germany’s famous delicious low alcohol, fruity-sweet Rieslings from the Mosel. These are exceptional wines, skillfully made by first-class winemakers like Ernst Loosen, essentially made by not letting the fermentation going its full course so that natural sugar remains in the wine. Alternatively, German winemakers are allowed to add sweet-reserve (sterilized grape juice) to increase the sweetness level in the wine, but today, this is mostly done, if at all, for fine tuning the residual sweetness. These fruity-sweet wines are the wines that are so popular among the fans of German wine in the world. But today, wine loving Germans drink dry. There is no doubt about it. The large majority of the premium wines produced in Germany is dry. And the German (dry) grand cru Rieslings can compete with the best wines in the world. The word is getting around - slowly but surely - and more and more dry German Rieslings appear on the international market. So, it was not a surprise that during his stay in Washington DC, Ernst Loosen presented also is dry Red Slate wine as well as Grosses Gewaechs wines – the ultra-premium dry wines from Germany. “But while in Germany the demand for my fruity sweet wines is low, the Grosses Gewaechs wines are very high in demand. Here in the US, it is the other way around” said Ernst. Ernst explained to us that his wines can be grouped into 3 quality categories. These are wines from the premium vineyards of Weingut Dr. Ernst Loosen. In fact, all of Weingut Dr. Loosen’s six major vineyards were designated as Grosse Lage (grand cru) in the 1868 Prussian classification of Mosel vineyards, which was undertaken for tax assessment purposes. This classification predates the grand cru system in Burgundy, and was updated by Stuart Pigott and Hugh Johnson in the Wine Atlas of Germany (1995). “We use this historically proven classification at Dr. Loosen. Only wines from the six top-rated sites (indicated on the map to the right) are bottled with a single-vineyard designation. All others are labeled simply as estate wines” Ernst said. Berkasteler Lay, Wehlener Sonnenuhr, Graacher Himmelreich, Ürziger Würzgarten, Erdener Prälat, Erdener Treppchen - A full range of Prädikat wines is made from the six grand cru single-vineyard sites. In addition, Weingut Loosen makes Grosses Gewaechs wines – ultra premium dry wines from Wehlener Sonnenuhr, Ürziger Würzgarten, Erdener Treppchen. Ernst explained that the vineyards of Weingut Dr. Loosen owe their excellent quality to three major factors: the exceptional regional climate of the Middle Mosel area, the mineral-rich slate and volcanic soils, and the incredible age of the estate’s ungrafted Riesling vines. These elements are the building blocks of each vineyard’s terroir and have long been recognized for their importance in producing outstanding wines. All the grapes that do not go into single vineyard wines are used for the 2 Estate Wines, Blue Slate and Red Slate. In the USA, Ernst offers a dry Red Slate wine and a fruity sweet (Kabinett) Blue Slate wine. The Red Slate Riesling is sourced from parcels in Uerzig and Erden, while the Blue Slate Riesling is sourced from vineyards in Bernkastel, Graach and Wehlen, where the soil is pure blue slate. Dr. L is Ernst Loosen’s hugely popular entry-level wine (more on it see below). Ernst Loosen’s most recent project is a joint venture with Jay Somers in Oregon. Located in Oregon’s Northern Willamette Valley, J. Christopher Wines is a small winery that specializes in Pinot Noir made in the traditional style of Burgundy. The winery also produces Sauvignon Blanc modeled after the great wines of Sancerre. The philosophy at J. Christopher is to produce wines in an Old World style that emphasizes focus, length and balance. Jay Somers is not only a gifted winemaker, but also a killer guitarist. Jay Somers and Ernst Loosen met years ago, and quickly realized that they shared a similar taste and passion for Pinot Noir. Their friendship led to a partnership, and in 2010, they began building a winery and vineyard in Newberg, Oregon. As winemaker for the joint venture, Jay is in charge of all winery operations. Ernst sees his role as that of an investor who both supports the growth of the brand and broadens the winery’s exposure to Old World ideas and techniques. Loosen Christopher Wines LLC produces wines under the J. Christopher brand. The venture purchased a 40-acre property for a new vineyard and J. Christopher Winery on Hillside Drive in Newberg, Oregon. Planting of the first block of Pinot Noir began last year. The first phase of the winery construction, the barrel cellar construction, occurred before the 2010 harvest. When I visited the winery with Tim Malone, the Phase II construction had just begun. At full build-out, the winery will have a production capacity of 8000 cases of Pinot Noir and 2000 cases of Sauvignon Blanc and other white wines. In 1996, Ernst Loosen took over the J.L. Wolf estate so that he could make traditionally crafted Pfalz wines to complement the light and elegant Dr. Loosen Rieslings he produces in the Mosel. In the classic style of the Pfalz, these wines are more full-bodied than Mosel wines, with higher alcohol and rich flavors of ripe fruit and stone. The Pfalz region lies between the Haardt Mountains and the Rhine River, directly north of France’s Alsace region. As in Alsace, the mountains protect the area from harsh Atlantic weather, making it one of the warmer and drier areas of Germany. In this climate, achieving full ripeness is possible in nearly every vintage. Mature, fully ripened fruit is the key to making concentrated dry-style wines that have enough body to balance the naturally high acidity. Promoting the worldwide ascendancy of Riesling was a big reason why Ernst Loosen began a joint venture with Chateau Ste. Michelle in Washington State a bit more than 10 years ago. He was convinced that it would take a seriously good New World Riesling to help bring the variety back to the forefront. Eroica was launched in 1999. Named for Beethoven’s Third Symphony, Eroica is supposed to reflect not only its variety and site, but also its heritage: bold and forward from its Washington roots, elegant and refined from German inspiration. The wine is made at Chateau Ste. Michelle from grapes grown in the Columbia Valley. They make three kinds of the Eroica. The regular Eroica, an icewine and a single berry selection. The latter is made in the traditional German Trockenbeerenauslese (TBA) style and is one of the few TBAs in North America. Ernst Loosen is not only a producer of wines, but also runs – with his brother Thomas Loosen - an import company, with a remarkable portfolio. J. Christopher Wines (Willamette Valley, Oregon). Pictures: The tête-à-tête dinner at Rasika was with Washington Post Wine Columnist Dave McIntyre and me. We were later joined by Rasika Sommelier Paul Ruttiman and Annette Schiller, wine tours by ombiasy. Indeed, the forthcoming Germany trip of Annette Schiller includes a wine tasting at Weingut Dr. Loosen in the Mosel Valley. The wine has 8.5% alcohol and is off-dry. The lowest price according to wine searcher is $8.89, which equals about Euro 6.60 at the current exchange rate. The average score on cellar tracker is 87.7 (of 100) points.